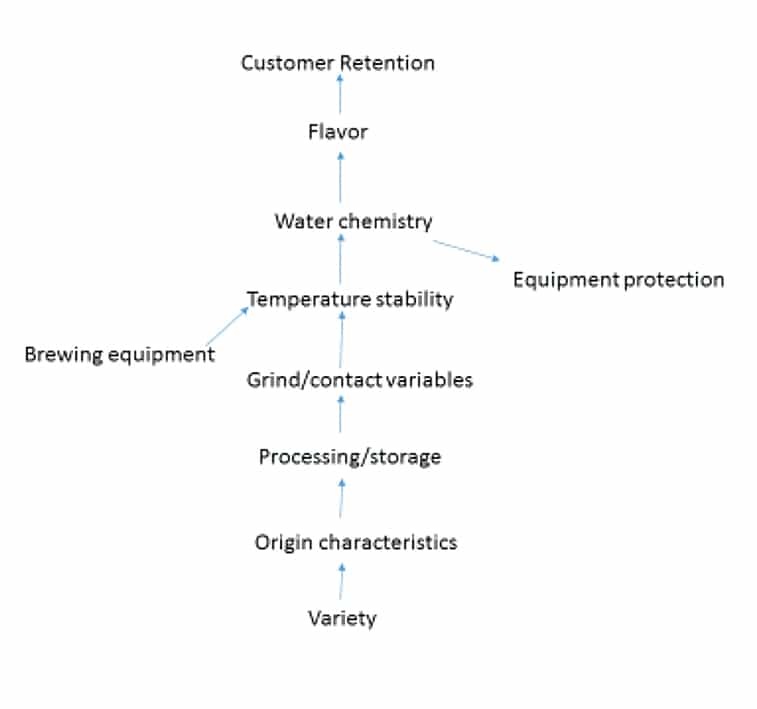 Water filtration is the lynchpin of flavor in the coffee industry. Without the PROPER water all the expensive coffee brewing equipment will deliver flavor profile that fails to live up to the expectations of the buyer and the manufacturer, and most important to all, the customer. Coffee equipment manufacturers and growers are pushing the science of brewing to a true art form. Parameters have emerged, such as: temperature stability, contact variability, contact time, grind particle size, spray head design, and so many unseen characteristics achieved at the grower level. All these incredible efforts designed to create the perfect cup are meaningless if the chemistry of the water doesn’t allow for flavor and aroma extraction. The mineral balance in water reacts with compounds in coffee to create specific extraction results, similar to how specific flavor and aroma characteristics only exhibit at a very specific temperature. A variation of as little as 1 to 3 ppm can be detected in the quality of the brewed product. Flavor may be the reason customers prefer one coffee shop to another, but equipment protection and maintenance cost or reliability may be the primary driver to the café owner. PROPER water treatment will give you both. PROPER water treatment always begins with a water analysis at the site of drink preparation. The type of water treatment bought depends on the source water and the desires of the operator for primary concerns. The best water (in a simplified form) will have parameters closely matching 150 ppm total dissolved solids (ppm), 30 ppm of alkalinity, and 4.5 grains of hardness and a neutral to slightly basic pH. Parameters matching these will provide for superior flavor and aroma extraction and also reduce/eliminate equipment scale and corrosion. Water with lower mineral content will over-extract and exhibit astringency in the cup that is undesirable and may also be corrosive, such as using a reverse osmosis system without pacifying the water through a calcite filter after the membrane. Water with high mineral content under-extracts as the mineral concentration inhibits flavor. Depending on the minerals, this can result in scale buildup and high equipment repairs cost and annoyance issues. Equipment protection and scale control in low mineral-content water requires nothing more than good carbon filtration to control chlorine/chlorine and ammonia (chloramine) and their by-products that cause flavor taints and corrosion, but to preserve flavor low mineral-content water requires reformulation to avoid over-extraction. Filtration methods utilizing acid/hydrogen addition or salt softening are unnecessary and may cause corrosion and spoil flavor. Equipment protection in high mineral-content water can be achieved with softeners (replacing calcium with salt,) acid additive filters (enabling scale to stay in solution by lowering the water’s pH,) sequestering filters (reducing scale’s ability to adhere to metallic parts by coating with chemical additives,) reverse osmosis (separation of water from the minerals) and most recently nucleation assisted crystallization (preforming scale before it reaches the boiler.) 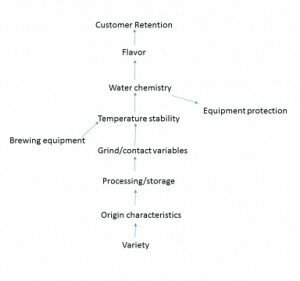 All of these methods present their own set of secondary issues; flavor stabilization is not achieved with any one of these processes alone. We provide seamless filtered or purified water delivery to automatic commercial coffee Brewers and ice makers. We can also custom engineer water delivery systems for commericial applications for restaurants and cafes. The ScaleGard HP Reverse Osmosis System reduces chloramines and minerals from incoming water to help protect equipment from corrosion and hard scale build-up. The system allows the end user to blend in the perfect amount of minerals for Recipe Quality WaterTM. Self diagnostics help ensure the system is working properly. Filtration by Flojet’s integrated membrane pre-activated carbon technology improves water taste and appearance, protecting dispense equipment and mitigating health concerns. The system removes chlorine/chloramine odor and taste by leveraging carbon block technology, proven to have more than four times the capacity to remove unwanted water characteristics as competitive precoat filters. MAVEA was developed to target the hardness that causes scale in equipment; it leaves in the minerals that improve taste and aroma. The Mavea system with an adjustable by-pass can selectively remove certain dissolved minerals from the water that cause problems like bad taste and odor. Pentair® offers a variety of Everpure®-branded water filters to fit the needs of your equipment based upon your water conditions. The right filter will save you time and expense on equipment maintenance, ask us. Whether removing chlorine or chloramines, using the right filter provides you with great quality tasting water! Water is 99% of coffee’s ingredients and a key to bringing out different flavors from the coffee bean. Selecto tastefully crafted innovation ensures the rich flavor your customers expect and protects your brand, equipment, and profits. 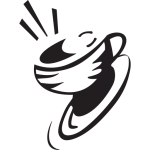 CoffeePRO removes bad odor and reduces scale build-up while avoiding equipment downtime. The ‘OP’ series water treatment systems utilize reverse osmosis (RO) to remove > 97% of the total dissolved solids (TDS) from water. Then a balance of minerals is naturally dissolved into the RO water to provide TDS with ‘Optimized’ water characteristics for espresso and coffee.